Swinging sixties style with crisp, rectangular panels . Three over three design. Rectangular panels. Engineered, Hardwood, solid core . Unfinished- so ready for your finishing treatment. 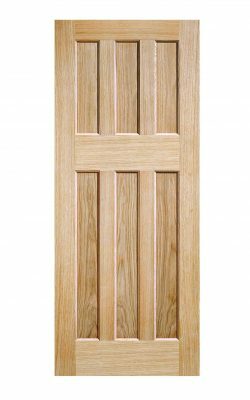 Available as a FD30 Fire Door (44mm) version and as a 1-Light Glazed variant too.